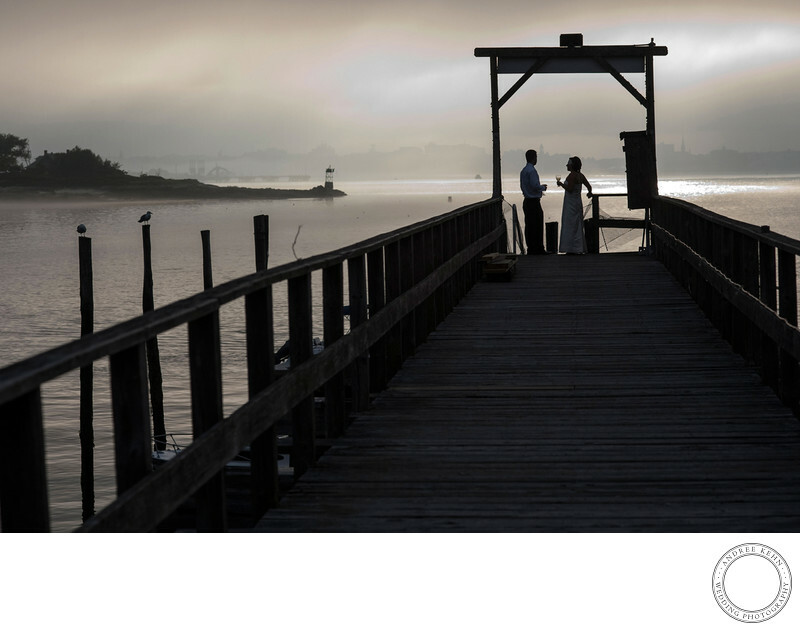 I love this piers out into the ocean from Peaks Island for wedding photographs. This is the exact moment during the reception when I sneak up and whisper to the couple that I would love it of they were to steal away with me for a few minutes. The bride grabs her drink and I simply tell them to wander over into the scene I have already frames up. They create a near silhouette and click click, the moment is caputred. Beautiful wedding photography for them to savor for generations. Location: Peaks Island, Portland, Maine. 1/640; f/5.6; ISO 320; 85.0 mm.